Natural serpentine has a veined pattern with a golden-green color. These dark veins are actually comprised of naturally-occurring fibre bundles, which look similar to a snake’s skin; indeed, serpentine owes its name to the resemblance it bears to snakeskin. 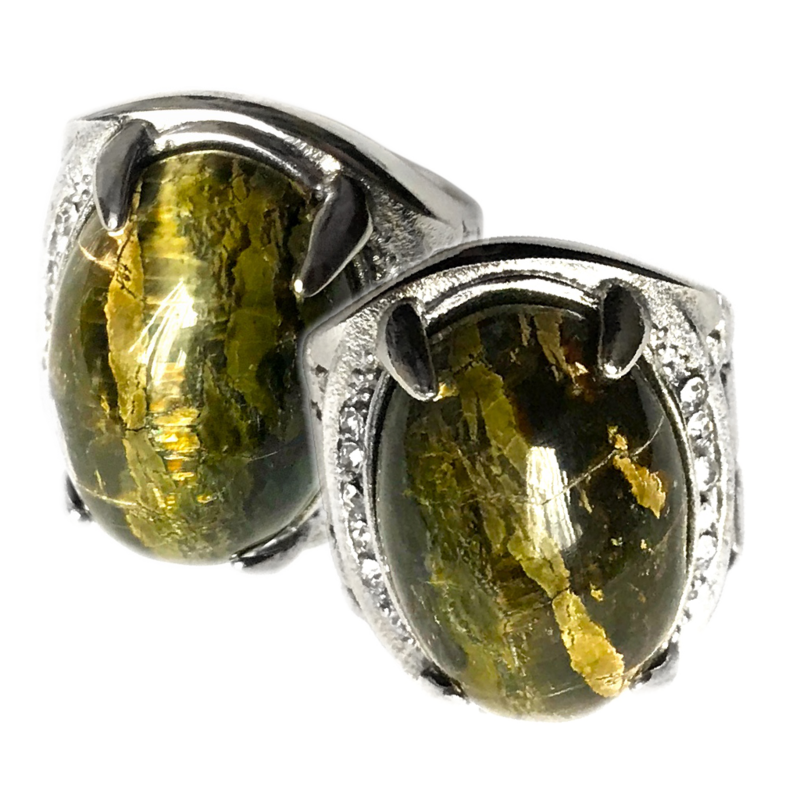 For this reason, then, this type of aqeeq stone is believed to possess certain mystical properties that are closely associated with serpents. In a practical way, gemstones of this kind are worn for protection against poisonous snakes. In addition, it serves as a healing crystal to cure those venomous snakebites with. When one rotates the gem, this automatically gives rise to the optical phenomenon of chatoyancy. Due to the so-called ‘chatoyant effect’, there appears a vertical ray of brightly reflecting light that looks very much like the slit eye of a cat. The resultant appearance of the cat’s eye is caused by the reflection of light by fibre bundles in the semi-precious stone. 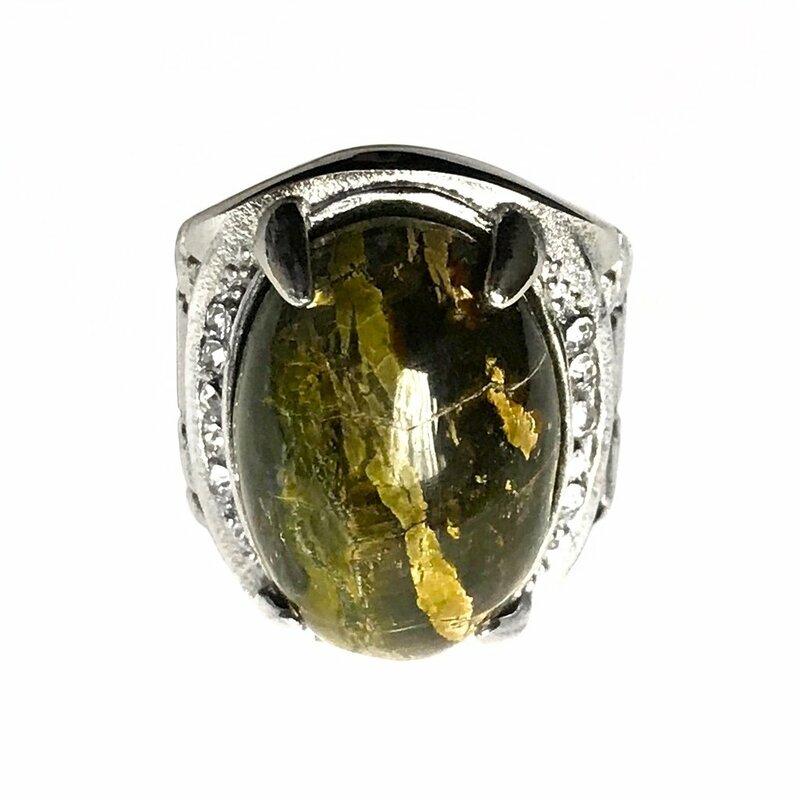 Consequently, serpentine is considered an aqeeq through which the wearer gains the ability to ward off the evil eye (Arabic: al-’ayn/ال), making him or her practically invulnerable to witchcraft and sorcery. 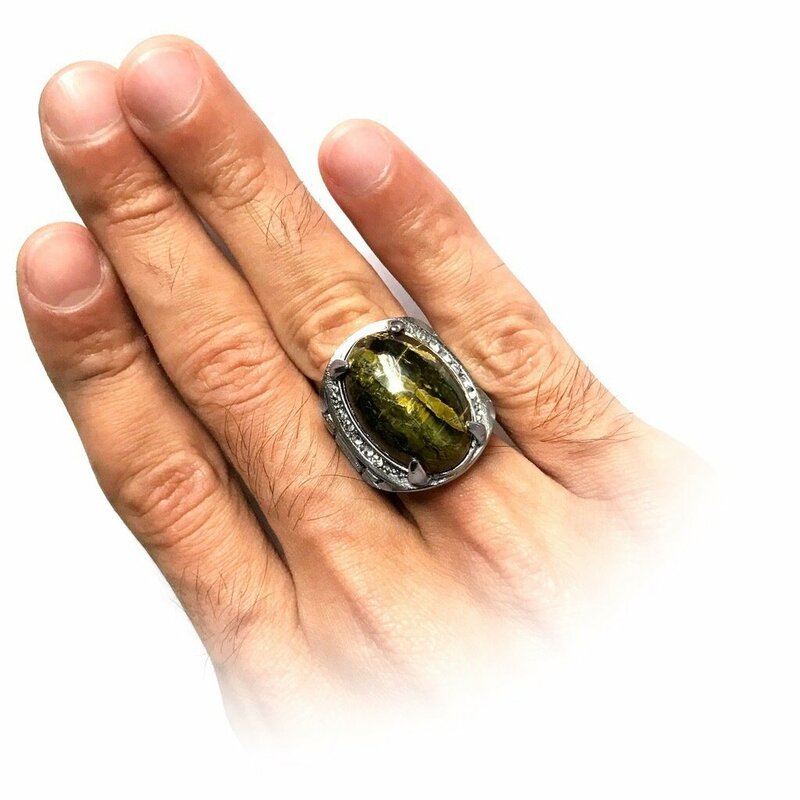 Subsequently, by wearing this ring, one’s life can quickly return to normal again, so that one’s business may soon improve and starts generating more profit. Wa-mā lanā ʾallā natawakkala ʿalā llāhi wa-qad hadānā subulanā wa-la-naṣbiranna ʿalā mā ʾādhaytumūnā wa-ʿalā llāhi fa-l-yatawakkali l-mutawakkilūn (7x). 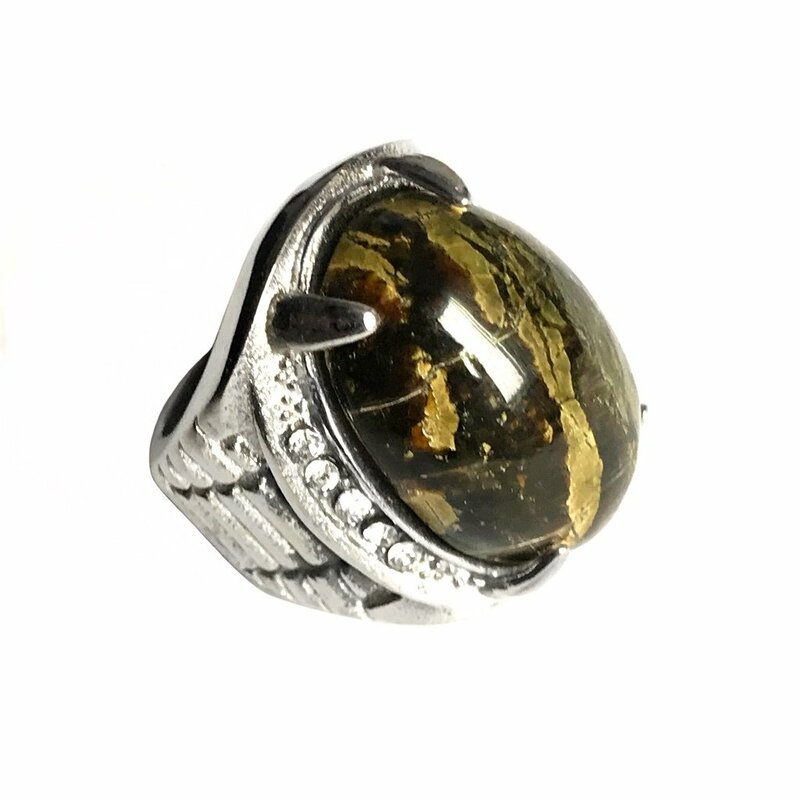 Next: Next post: Black Friday Shopping Deal 2018: 50% Off All Aqeeq Gemstones!